Welcome to www.strikemasterheaven.com - the WWW's main resource site for the BAC Strikemaster aeroplane. Originally created in January 2004 as part of the Jet Provost heaven web-site with two basic aims; to fill a gap on the Internet, and to provide a resource stating where Jet Provost and Strikemaster aircraft survive worldwide. 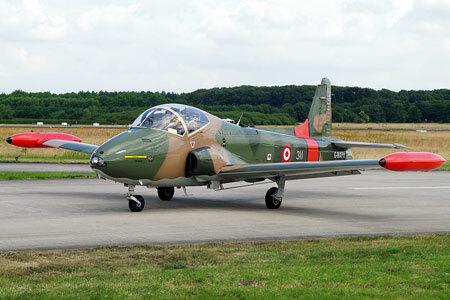 The Strikemaster section was separated in January 2010 to form a new site. The survivors lists will grow as time goes on, so if anyone knows of any aircraft that haven't been listed or featured, please get in touch. Please have a look around the site and let me know what you think by clicking the options below. "This site is purely for information only. There is no profit motive involved and it exists for those like myself who have an interest in aviation."